Welcome to the Purchasing Department. Purchasing is responsible for procuring all supplies, services, equipment, and any construction projects, in accordance with Part 34 of the Revised Statutes of Missouri (RSMo) and all Federal and State regulations. The Purchasing Department procures all goods and services at the lowest and best procurement value for the University. The Purchasing Department operates under the Office of the Vice President of Business and Finance. The Purchasing Office is located in the Dr. Henry Givens, Jr., Administration building, Room 105, 3026 Laclede Avenue, St. Louis, MO 63103. The hours of operation are 8:00 a.m. to 5:00 p.m. Monday through Friday, excluding University Holidays. New vendors are required to complete the Vendor Registration Application located on the Vendor Information web page. 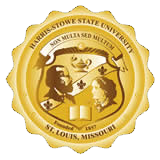 Information relative to procurements at Harris-Stowe State University can be sent to the Purchasing Office by email at purchasing@hssu.edu.